The METPAX300 customized analyzer system (Metallurgic Process Analyzer) contains the tried-and-tested MCS300P process gas analyzer and the TRANSIC100LP laser oxygen transmitter. The system is ideally suited to the harsh ambient conditions in steelworks. The water-cooled sampling probe can handle temperatures up to 1800 °C and is suitable for use in areas with high concentrations of dust thanks to its innovative cross-flow filter. 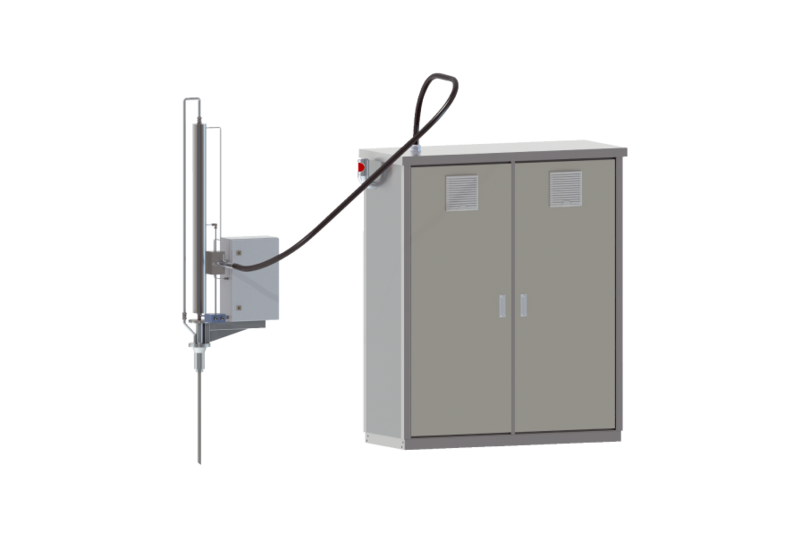 The analyzer cabinet, made from stainless steel, is cooled and flushed to prevent overheating and dust ingress. Continuous measurement of CO, CO2 and O2, combined with monitoring of the water content, enables the electric arc furnace to be controlled in an efficient and resource-saving manner, making a vital contribution to plant safety.